For women who want to pamper their bodies and quiet their souls in a stunning, nurturing setting. 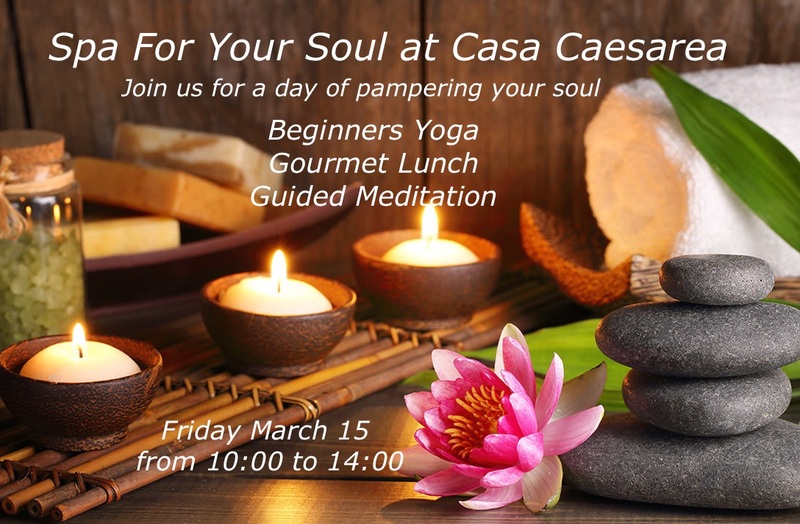 This is the first of our Spa For Your Soul workshops. 10:30 Morning Yoga Session with Shira Izikowitz. Shira has 20+ years experience in massage/alternative healing/bodywork and is a licensed instructor of Vinyasa style yoga. She will teach us how to relax body & mind with breathing and easy yoga movements. Michele is a meditation guide, intuitive empath and channel. Returning to Israel after spending many years teaching in the US, she will present a short talk on meditation, followed by a guided meditation opening the chakras and releasing old energy thats ready to be released.